USC (US)—In physical, as in financial growth, it’s not what you make but what you keep that counts. That’s true of oysters and other slow-growing animals that appear to waste energy in two specific ways: They make too much of some protein building blocks and expend energy disposing of the excess. By contrast, fast-growing oysters make just enough and keep most of it, Manahan hypothesizes. The theory of metabolic taxation needs verification, but if proven correct, it would help explain why some animals grow big, while others stay small, and could shed light on the biological cost of rapid growth—lower disease resistance, perhaps, or blander flavor? Manahan says differences in diet account for about half the size variation in animals. Gene expression related to metabolic taxation could explain part of the rest. If metabolic taxation is real, rapidly growing animals are simply more efficient at making proteins and do not necessarily need to sacrifice other traits. Manahan compares metabolic taxation to a vehicle assembly plant with supply chain problems, where too many engines come in one day and not enough transmissions the next. The vehicle assembly plant in the cell is the ribosome, which makes and assembles protein parts from genetic instructions. Manahan and coauthor Eli Meyer—his former graduate student at USC and now a postdoctoral fellow at the University of Texas, Austin—identified 17 oyster genes related to the ribosome. The expression of those genes was out of balance in slow-growing oysters, Meyer and Manahan observed. They suspect the underlying problem is a lack of coordination in the production of protein parts. Proteins are crucial to growth since they make up the bulk of an animal’s muscles, organs, and tissues. A fast-growing oyster is simply “well-tuned,” Manahan says. “It’s not just about quickness, it’s about coordination. And that was a big surprise to me,” explains Manahan, who directs USC’s Wrigley Institute for Environmental Studies. Meyer and Manahan also identified 17 more genes related to energy metabolism, feeding activity, and other factors related to growth. The 34 genes represent the most promising subset of 350 growth-related genes identified by Meyer, Manahan, his USC Wrigley Institute colleague Dennis Hedgecock, and other researchers in a study published in 2007 in Proceedings of the National Academy of Sciences. Manahan and Hedgecock’s long-term goal is to identify the genes responsible for hybrid vigor: the ability of some children of crossbreeding to outgrow both parents. Many plants have hybrid vigor. Seed companies exploited this property to increase corn yields many times over from the 1920s to the present. Manahan sees potential for growing more food from the ocean by studying the “seeds” of animal development—the larval stages. Most animals do not express hybrid vigor to the same extent. That makes oysters, which do show characteristics of hybrid vigor, unusually strong candidates for aquaculture. “Their hybrids grow much faster than either of the parents. And this is like corn,” Manahan says. With the latest study, “we believe that we have identified some of the genes that are biological markers for hybrid vigor,” Manahan says. With this advance, it should be possible to identify fast-growing oyster families early in larval development by their genetic signature—potentially a big step forward in oyster farming. Manahan calls oysters the “corn of the sea” for their potential to help feed the planet as traditional fisheries collapse and land-based farming reaches its limit. 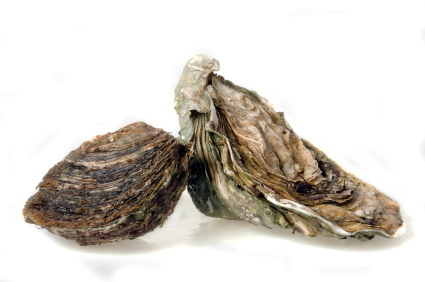 Currently, the Pacific oyster is the most farmed aquatic species on the planet. The “Green Revolution” that multiplied crop yields needs to be followed by a “Blue Revolution” in ocean farming, Manahan has argued.